Looking at Izzy’s flotation vest, the Float Doggy made by D-Fa, you’d think I bought it for her, but in fact it’s a hand-me-down – and a testament to the quality of the item. The D-Fa vest was purchased by a client for Ollie, who within the span of days became a quadriplegic in 2010. Swimming was part of his long-term care program (I won’t say rehab, since he never re-gained the use of his legs and on autopsy it was found that he had a brain tumor). When Ollie died in September 2011, Ollie’s owner passed his life vest onto me for Daisy. By then, Daisy was also swimming at the Dog Swim Spa on a fortnightly basis. Daisy passed away in July 2014 and so that vest saw a lot of use from September 2011 to July 2014. And it came out of storage this year to support Izzy. I wash out the vest after each use with liquid laundry detergent and cold water; chlorine from the pool can damage fibers of most garments. Otherwise, that’s all I’ve done to maintain it. I’d say that’s pretty well made! Is your dog a Trekkie? Trekkies are fans of anything to do with Star Trek. And maybe, if you are a Trekkie, then so is your dog? There’s an officially licensed line of dog products with a Star Trek theme (just in case you are having difficulty buying for your dog this Christmas). So, if your dog is a Trekkie, then quicker than you can say “Beam Me Up” your dog can show it to all your friends. 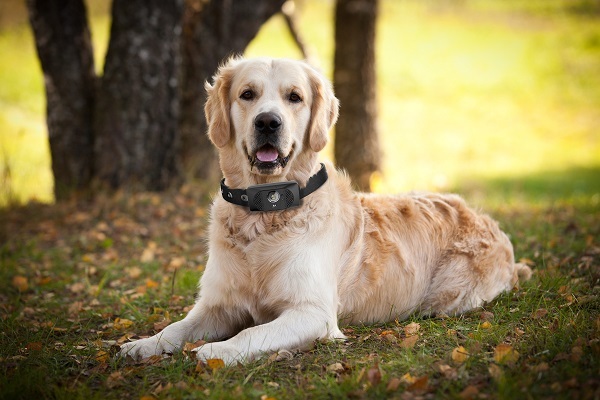 The device, which is WiFi and Bluetooth enabled, will monitor a dog’s health, track their location with GPS and allow owners, when they are not home, to speak to their dogs using 3G. A microphone will allow the dog to be heard, too. 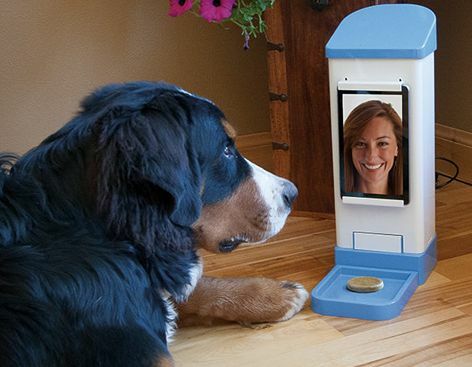 There is also a built-in camera so owners can check on what their dogs are up to. 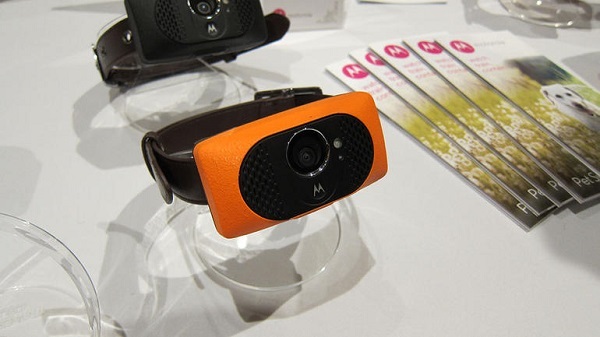 Motorola says the Scout 5000 will be available in the USA in June and carry a $199 price tag; a version for small dogs will be $91. The device will come with a year of 3G service, after which owners will need to purchase a data plan. Technology has, again, gone to the dogs! 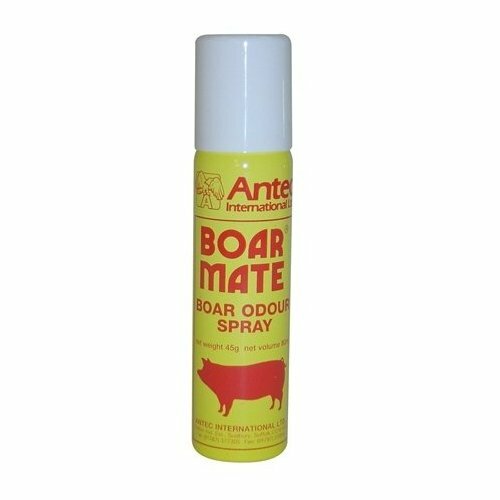 This is Boar Mate, a smelly spray product that helps farmers with swine breeding. John McGlone, a professor at Texas Tech University, had some of the product at his home at a time when he was looking for ways to stop his Cairn Terrier’s problematic barking. After a single spray of Boar Mate, Toto stopped barking. This led the professor of animal welfare and behavior to pursue a new idea and product development. After extensive testing and publishing of the results, and with funding help from Sergeant’s pet care products, Stop That! 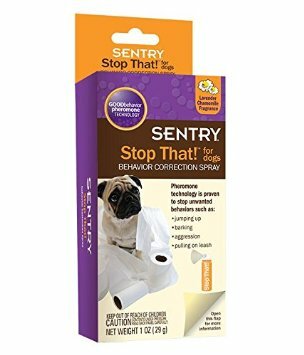 was developed and hit store shelves under the Sentry pet products name in 2013. It has been met with tremendous success by pet owners who were on their last legs in trying to curtail bad behavior in dogs. The pheromone ‘secret ingredient’ is a synthetic version of androstenone. This pheromone is secreted by male pigs and is picked up by female pigs in heat. It is a foul-smelling odor for humans and also affects dogs through their olfactory system. Let’s just say that Daisy had the largest ‘digestive indiscretion’ of her life recently. I won’t go into the details (it was horrific for both of us). Thankfully, I had this cleaning product in my cupboard. 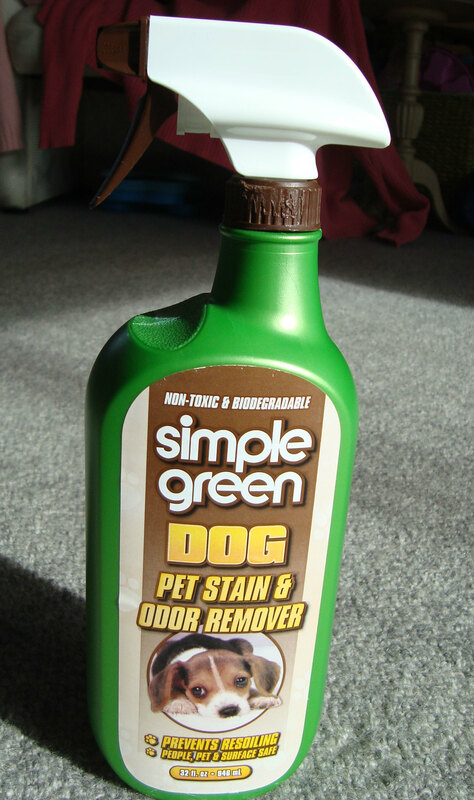 Simple Green is a well-known manufacturer of non-toxic and biodegradable cleaners. It is very easy to use – shake the bottle, saturate the stain and then scrub gently. What I particularly like about this product is that it is safe for pets and people and it’s fragrance is not overpowering. How many cleaners have you tried that are overpowering in their smell, while claiming that they deodorize? This isn’t one of those. It truly helped with the smell without causing me to have to open the windows before being overcome by the fragrance. Doggyloot is a website where merchants sell dog treats, toys and other products at discount prices. Each product is offered for a significant discount but there’s a time limit to buy. I’m happy to endorse this site, as I’ve found a number of items over the last two years by belonging to this community. 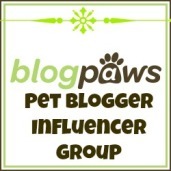 It’s well worth a look – your dog will love you for it!